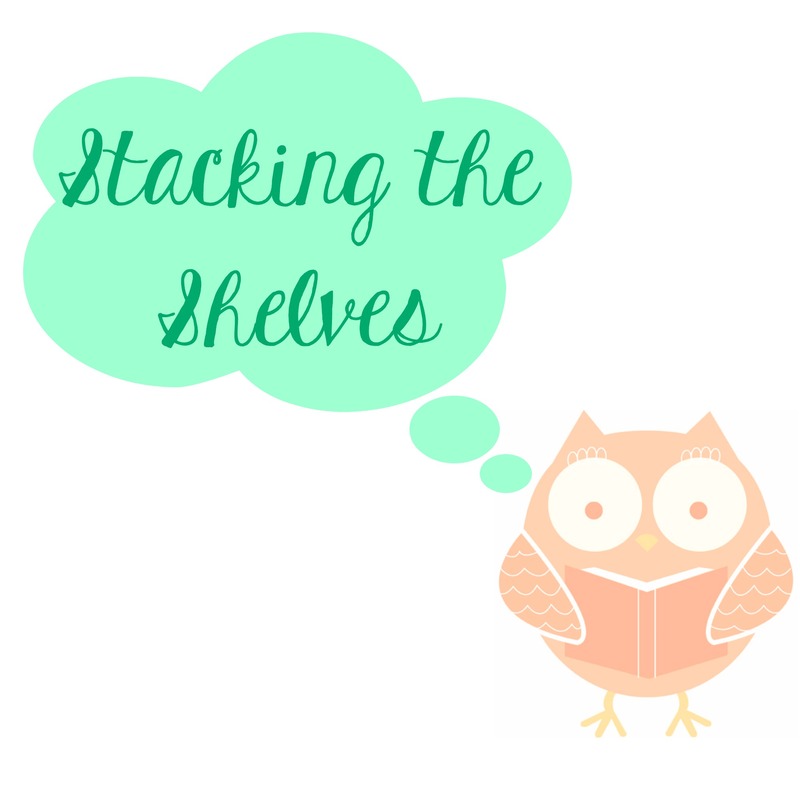 Ok, so I got a ton of books this week…Let me know what you think of my haul and then leave your own STS in the comments! Ok, So I bought the first book, got halfway through it and immediately went back to the bookstore to get whatever else they had of this series. IT. IS. SO. GOOD. It’s been on my to-read list for an eternity, and I had no idea what I was missing (AKA Bones). I’m on the third one right now, and I can just feel how depressing it’s going to be when I get to the end of the series. Anyway, if you guys love this series too and have suggestions for similar books, PLEASE put them in the comments. I’m pretty new to the adult UF/PNR genre. I have heard super fantastic things about this book, so I’m uber excited to read it. Plus, dragons! A very underutilized idea in YA. This is a re-read, because I’m finally getting around to Through the Zombie Glass; apparently I had given my copy of Alice in Zombieland away, so I had to get it again to read it! I loved it the first time, can’t wait to read it again. I AM SO EXCITED TO READ THIS. I love this series, and I’m sad to see it end, but the reviews of this book are ridiculously great, so I can’t wait to hang out with Jace and Clary again! This was sort of on a whim; I don’t really know anything about this book, but people seem to like it, and it’s been on my to-read list for a while! For a while last year it seemed like all people could talk about was how great Rainbow Rowell’s books are. I have yet to read any of them; I’m starting with Fangirl. Hope it’s as amazing as everyone says it is! I’m pretty nervous about this book. I adored Splintered; but Jeb is the MOST irritating. Ever. And I mean, Morpheus has a lot of creepy issues as well. So I’m not so sure how this is going to end up, but since I loved Splintered so much, I’m really excited to read Unhinged. Have you read any of the books I got this week? You have so many books that I want to read this week, including Fangirl & Unhinged. Enjoy them! My STS. I’m super excited about those two! I’ve heard such great things about them! Hahaha you got Unhinged and I got Splintered this week. 🙂 I have a few of these books but I haven’t read them. Ooh, I hope you like Splintered! I thought it was great! Pretty dang creepy, but still awesome! Wow, what a haul! I’ve heard so many good things about the Night Huntress series, Alice in Zombieland and Seraphina. Very jealous! Night Huntress series is so great 🙂 I’m in love with it haha. Alice in Zombieland is fun, though not at all in Alice in Wonderland; and I know practically nothing about Seraphina haha, so I’m excited to read something new! I just finished it, and it was AWESOME. You should definitely try to get to it soon!! I also can’t wait to read Alice in Zombieland and Gone! They’ve been on my TBR for aaagesss! Thanks! I feel like I have so many good books sitting on my shelf waiting to be read too haha. It’s a disease. I can’t quite getting new books. I’ll be interested to see how I like Fangirl. Sometimes books with tons of hype don’t turn out as awesome because we have such high expectations! Not gonna lie, just finished Fangirl…I thought at the beginning that I wasn’t going to like it, but as it went on, I kind of loved it 🙂 What didn’t you like about it? I can definitely see that; there are plenty of times where the genre (contemporary teen angst romance etc) is ridiculous; sometimes it seems like they’re trying to be super quirky just to be able to say LOOK HOW QUIRKY I AM.